In her first press conference since a self-identified socialist defeated one of her top deputies in a primary, House Minority Leader Nancy Pelosi said Wednesday that socialism is not ascendant in the Democratic Party. Alexandria Ocasio-Cortez rocked the political world on Tuesday night when she defeated New York Rep. Joseph Crowley in a Democratic primary. Crowley, a longtime congressman who was touted as a possible successor to Pelosi, has been in office since 1999 and risen to the fourth-highest post in the Democrats' House leadership. Ocasio-Cortez is a 28-year-old member of the Democratic Socialists in America, and the political left touted her victory as proof that socialism is becoming a serious force in Democratic Party politics. Pelosi, however, pushed back on that notion. 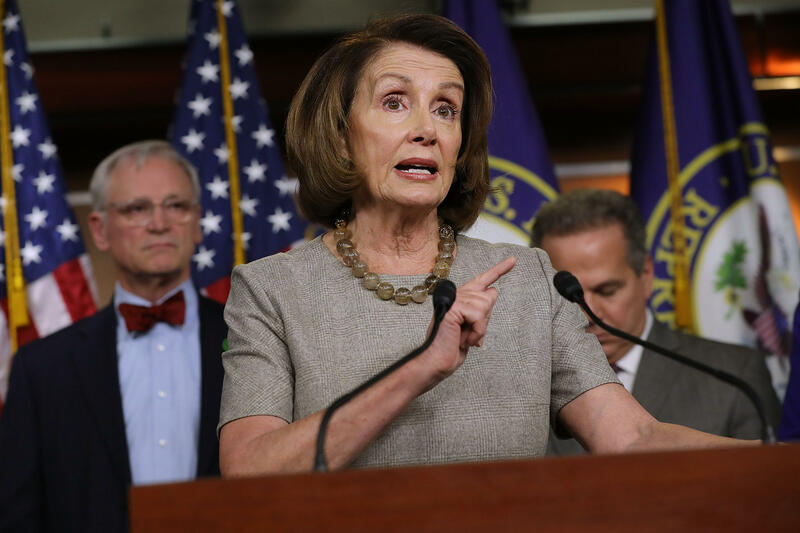 When asked by CBS News' Nancy Cordes if democratic socialism is "ascendant" in the Democratic Party, Pelosi responded with a firm "no." "No. They're not," Pelosi said. "It's ascendant in that district perhaps! But I don't accept any characterization of our party presented by the Republicans. So let me reject that right now." The once and perhaps future Speaker of the House went on to describe her party as a "big tent" that was home to various ideological currents. She also said each district is different, and that Ocasio-Cortez's victory is "just a sign of the vitality of our party." Long a dirty word in American politics, more Democratic candidates have embraced the socialist label following Sen. Bernie Sanders' surprisingly strong performance in the 2016 presidential primaries. Ocasio-Cortez worked for Sanders' campaign and was endorsed by Our Revolution, a political action group with close ties to the Vermont senator. Ocasio-Cortez ran on a platform to the left of the Democratic mainstream and refused to endorse Pelosi for Speaker. But Pelosi was quick to congratulate Ocasio-Cortez in a statement on Tuesday that also praised Crowley at length. "I salute Chairman Crowley for a formidable legacy of achievement for the people of New York," Pelosi said. "I congratulate Alexandria Ocasio-Cortez on her victory."